Last week was my dear friend Heidi’s birthday and I decided to make her a one-of-a-kind birthday card to celebrate the occasion! 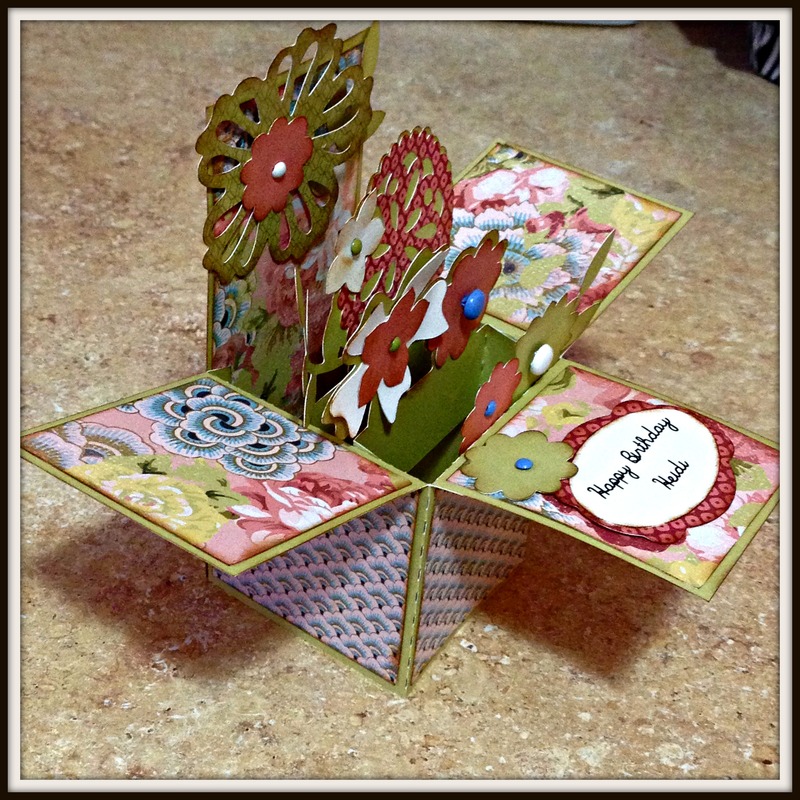 I used a floral box template from SVG Cuts and incorporated some of my favorite Close To My Heart products: I used some of the patterned papers and card stock from The Ariana Paper Packet . I also used the Close To My Heart chocolate ink to highlight the edges! For a finishing touch I incorporated some brads I had from the craft store and used them in the center of the flowers. Heidi seemed thrilled with the card and I was so happy to give her something from the heart! I hope my box card inspires you!